The word ‘dive’ doesn’t seem to do it justice. More ‘secretive’ or ‘where-Micheal-Corleone-would-hide-the-bodies” Tucked away at the bottom of University Avenue, the charm of Menagerie is its secrecy. Know for its support of underground artists, tonight the stage plays home to a trio of rock acts known alternatively for the lackadaisical scorn, slacker rock and compelling live shows. First onstage is His Father Voice. The Limerick quartet have a slow, sluggish appeal that is reminiscent of Smashing Pumpkins. 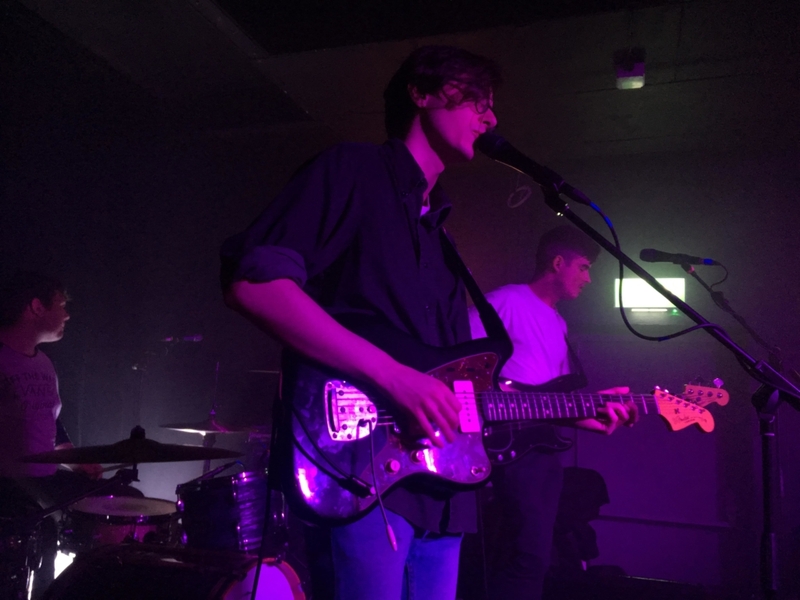 On the night, they had a calm, methodical, brooding vibe to them, lulling the audience in with a set of thick, murky basslines and gloomy percussion. The vocals of Ash O’Connor juxtapose nicely to the quagmire of shoegaze and post-punk, piercing through the mist with a strident purpose. The trudge of their set continued, increasing in weight and purpose to the point in which you could almost feel the notes roll over you. Bathed in violet light onstage, their sway was twinged by subtle malice, a almost quiet anger that gave the set an intriguing edge. Galaxy treading synth and nostalgic reverb rounded out their sound, all while O’Connor’s voice kept attention fixed squarely onstage. Ending their show with the steadfast, gritty stomp of ‘breathless‘, the southern four-piece were the most impressive act of the night. After a short interval, psychedelic indie punks Junk Drawer meandered towards their weapons of choice. Fronted by Stevie Lennox and backed by Jake Lennox, Brian Coney and Rory Dee, their tongue in cheek self-degrading take on music has earned them cult status in Ireland. With a track list that varied between spacey stoned licks and distortion ridden breakdowns, their grungy slacker rock style kept a ferocious pace despite its miasma. Their brand of laid-back rock has both a serious and humorous appeal, with heavy breakdowns and breezy fills making up much of their sound. Keeping the menagerie crowd on their toes worked in their favour as dances and headbanging broke out sporadically throughout the crowd until it seemed that the whole room was swaying. 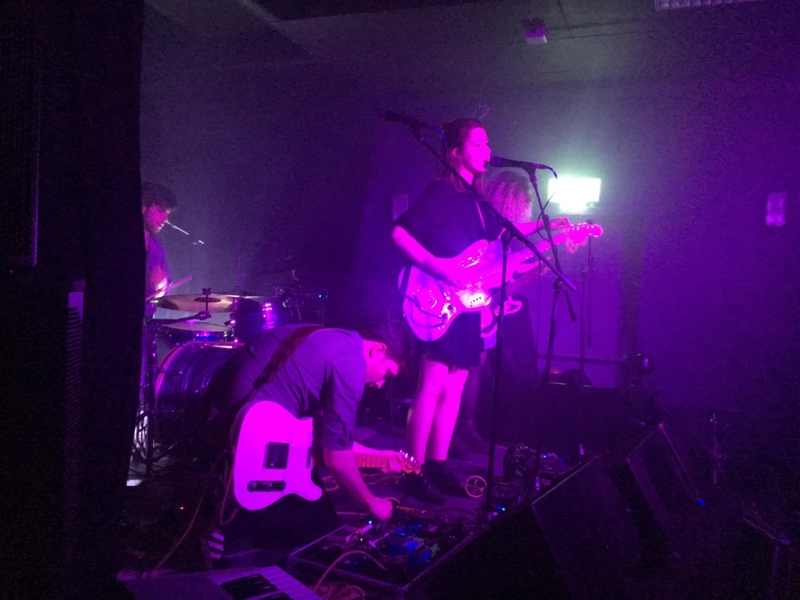 Familiar and cosy at times, yet alien and frightening in others, the flowery groans, strained shrieks and indie croons of vocalist Stevie Lennox complimented the restrained glide of their set. Compelling and engaging, Junk Drawer left it all on the table. Headliners of the night, Hot Cops, emerge from the darkness shortly after the departure of Junk Drawer. 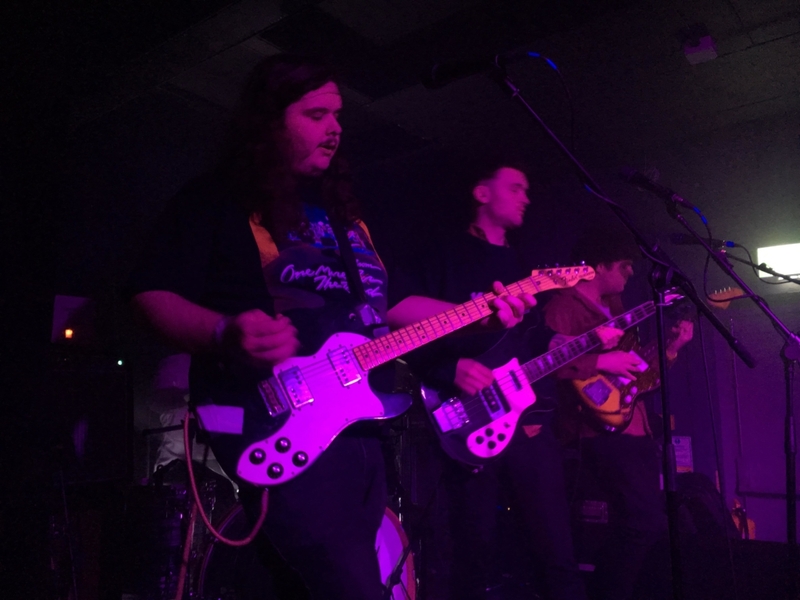 The slacker rock heroes set was fuelled as always by a series of jagged riffs and suspended percussion, their dazed snarl allowing them to drift from tribal slow burners to punkish fiery funk. Unfortunately for the Belfast trio, however, they suffered from the disease of more. While the set measured up to their usual performance, their shirt untucked swagger did not hit as hard after the pomp of their openers. Their usual air of magnetism was lacking. The heaviest breakdowns and free reign licks from their set still provided plenty of enjoyment, but one wonders if they should have shifted into another gear. 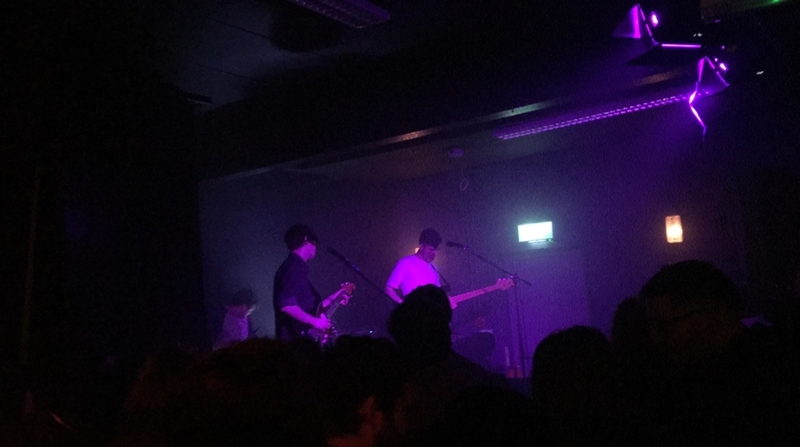 Another night of stellar music and performances in the Menagerie, which has quickly risen through the ranks to emerge as one of Belfast’s favourite venues. I retreated back into the dark cold air as the music ended. I’m sure I’ll be back.